Submit your entry, which is no longer than 300 words (without title) and features the words ‘liar’ and ‘key’ below. During the competition there will be interviews with the judges posted on this blog which will also feature some writing advice for the contestants. All interviews are now published on the site, you can view them by clicking on the names of the judges just above. A brief note from the admin: Following my experience with organising the Prince of Fools writing contest (which last year I ran on behalf of Bloody Cake News) I would like to mention here that you won’t receive an automated email notification after submitting your entry. I will upload it to the site as soon as I will have the time, which might be straight away, but might be just hours later or even next day. If I have any questions or concerns regarding your entry, including formatting, I will email you. Please don’t re-submit your entry, unless it doesn’t appear on the site within 48 hours after submitting it. If you urgently need to ask something you can find me on Twitter. ACE only produces a small number of hardcopy ARC’s, so having been able to acquire one is a rare opportunity and we are very fortunate to have their support. The book itself is amazing (yes, I’m one of those few lucky bastards who got to read it already and personally it’s one of my favourite books EVER! ), but on all accounts it’s a brilliant prize and well worth competing for! I would also like to say a big thank you to all of our incredible judges for taking the time to consider the entries! The Liar’s Key Writing Contest is now closed. Thank you very much for the many great submissions! 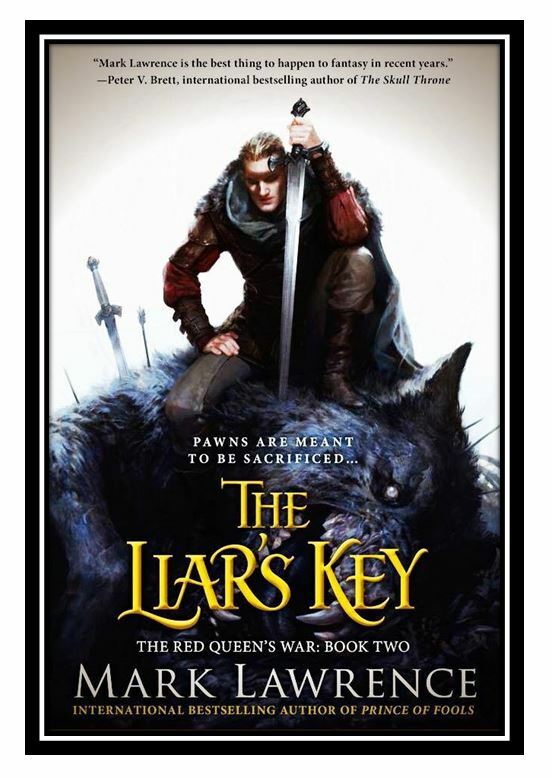 A flash fiction writing contest over on ‘that thorn guy’ with the potential prize of an ARC of Mark Lawrence’s The Liar’s Key. The entries will all be judged by a series of established authors including Myke Cole and Lawrence himself. Check it out! Can I use no words and 0.3 of a picture instead? Ah damn I forgot to submit for this! Wrote the piece and everything!